This might be one of the best effort-to-flavor ratio snacks ever. Take 5 minutes to whip up a few cups and you have a savory sweet snack with a little spice and a citrus tang. You can make it out of the can, but if you have the time either boil the corn on the cob or better yet, roast it on the barbecue. 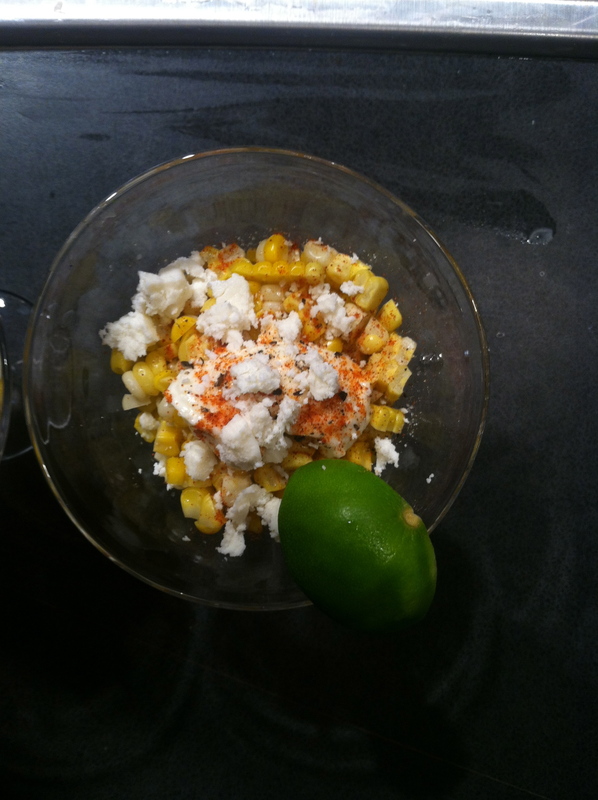 I used corn that was roasted the night before that we didn’t eat and simply warmed it up for the recipe. Roast, boil, or microwave the corn to get it nice and toasty. Split it equally into 4 cups (one cob makes about one cup). 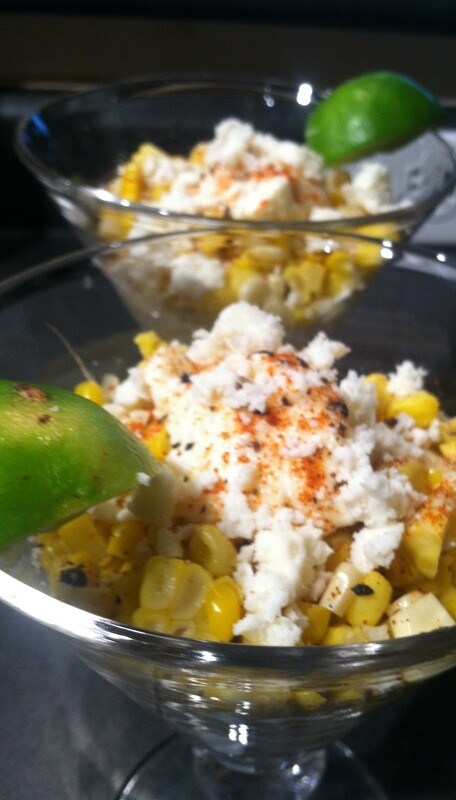 Put one tablespoon of mayo on each cup of corn, salt and pepper to taste, sprinke on some cayenne pepper, then crumble tone ounce of cojita cheese on top of each cup. Put a wedge of two of lime on each rim and serve hot. Mix it all up and you have a great blend of flavors without breaking a sweat, or the bank.